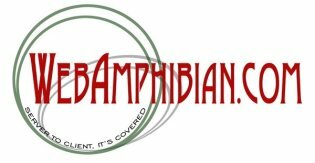 This page contains direct links to all of WebAmphibian.Com's 'Frequently Asked Question' (or FAQ) pages for all of our products. Please simply click on the WebAmphibian.Com production that you are interested in and you will be taken to that product's FAQ. CaesarShift, a 'n-Up' book (1 of 3) from kids on cryptography. KidDrills, a 'compiled HTML Help file' production. n-Up Books are a collection of small-form factor books suitable for printing at home. PeriodicalCipher, a 'n-Up' book (3 of 3) for kids on cryptography. RailFence, a 'n-Up' book (2 of 3) for kids on cryptography. Backups is a public service white paper on why backups are so important. Spam, a public service white paper on electronic spam, in all of it's forms.